We believe it’s important to reevaluate your beauty regimen each year to ensure you are doing what is necessary to keep your skin and body in pristine condition. So, as we enter the new year in full swing, we find it necessary to highlight 10 beauty resolutions we believe all people should make. Our belief is the most beautiful cosmetic you can wear is healthy skin. 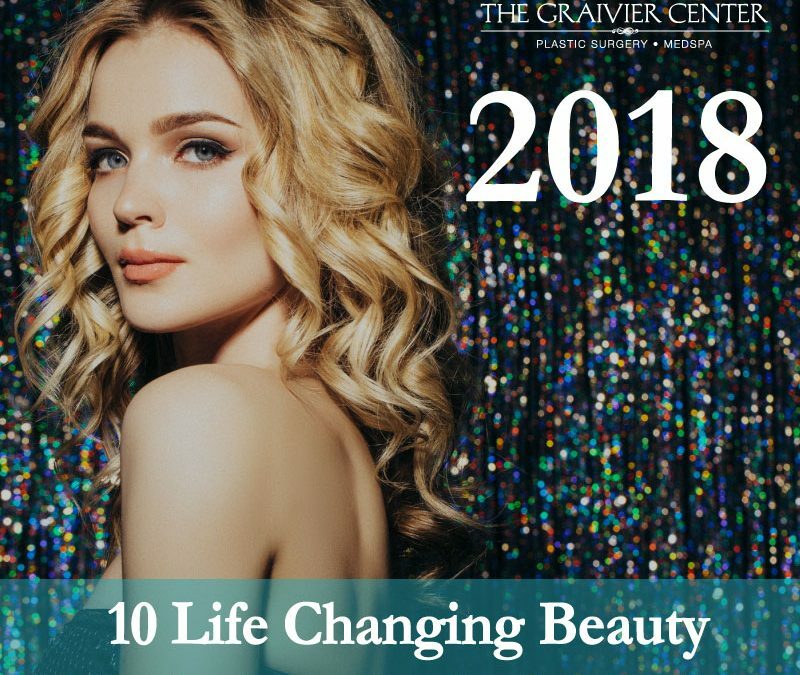 At The Graivier Center Medspa, we offer a selection of quality products to help maintain your skin care needs. A consultation with our skin care staff will help you discover which products would best suit you. Making sure you cleanse your makeup brushes correctly is one of the most important steps for maintaining healthy skin. The key is to remove dirt and bacteria, which can dry out and irritate your skin. To clean your brushes, use a chemical free cleanser such as Dawn dishwashing liquid from your kitchen. Simply place your brushes in soapy water for an hour or so as upright as possible to avoid getting water in the handle. Rinse and lay flat to dry. You can take preventative measures to slow down the most common signs of aging: wrinkles. Even though we are months away from the summer sun, UV rays are still present when the sun is out, which can lead to skin aging as well as skin cancer. All skin types should wear a SPF of at least 15 daily. When your skin is dehydrated, it suffers. All skin types need to be regularly moisturized, so find a moisturizing product to complement your skin type and use it every day. In addition, be sure that you are drinking the recommended 8-10 glasses of water a day to flush toxins from your body, which will aid in restoring your skin to its natural elasticity. Massage treatments restore a sense of balance and rejuvenation to the body by relieving muscle tension and improving blood and lymph circulation. Our licensed massage therapists utilize a combination of Swedish massage, shiatsu, reflexology, and deep tissue massage depending on your needs. While the idea of “beauty sleep” might have become a cliché, dozens of studies suggest that getting at least eight hours of sleep a night can actually make people appear more attractive. However, before you turn in the for the night, always remember to remove your makeup and apply a moisturizer to your skin. Why take a risk when it comes to your face? Every facial filler and neuromodulator on the market has unique properties. Treatments such as Botox, Xeomin, and Dysport and facial and dermal fillers such as Juvederm, Restylane, Radiesse, or Belotero should only be trusted to a certified healthcare professional. Be sure to schedule a consultation to find out the best fit for your current needs. A quick way to clean off all your makeup residue, dirt, and oil at the end of the day is to use makeup remover wipes. The wipes gently remove pore-clogging impurities. Use these prior to washing with a mild cleanser and finishing your routine with a moisturizer. Flossing daily aids in removing bacteria and plaque from your teeth. Removing this from your mouth eliminates your chances of developing cavities, irritable gums and gum disease. Your brows are one of the most important features on your face. Having shapely brows can make you look rested, give you a subtle change and are a great maintenance between Botox injections.